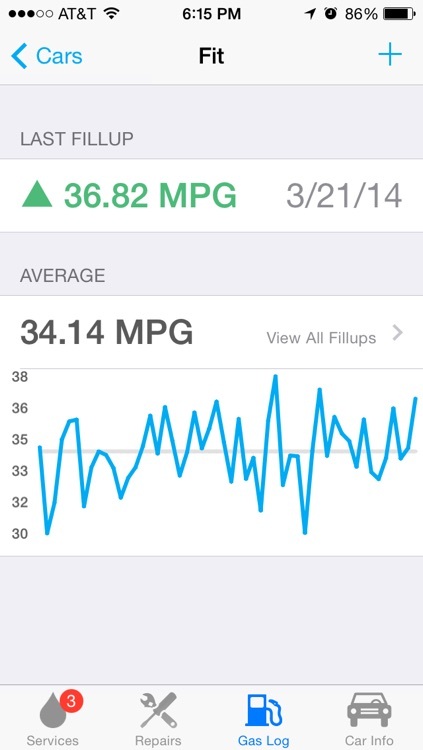 Taking care of your car doesn't have to be difficult, these apps are here to help. 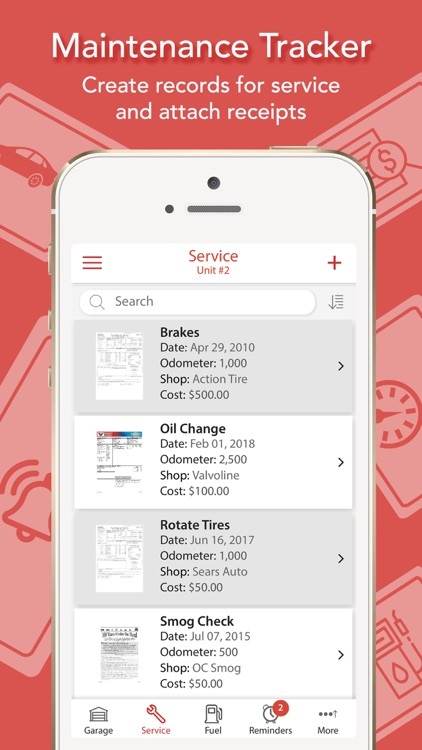 Track your repairs and service history, get alerts when it's time for scheduled maintenance, get updates on safety recalls, and find local service shops. 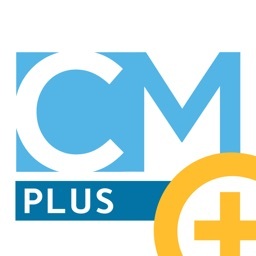 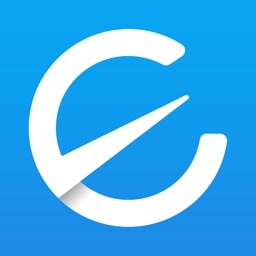 ClearMechanic is the global leader in inspection technology for smartphones and tablets. 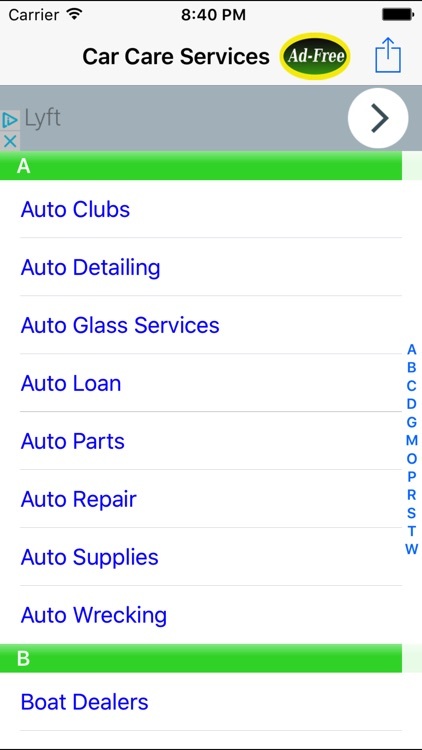 With ClearMechanic, an auto repair center can upload a vehicle inspection from any smartphone or tablet and instantly share the inspection form by e-mail, text message, website and print-out. 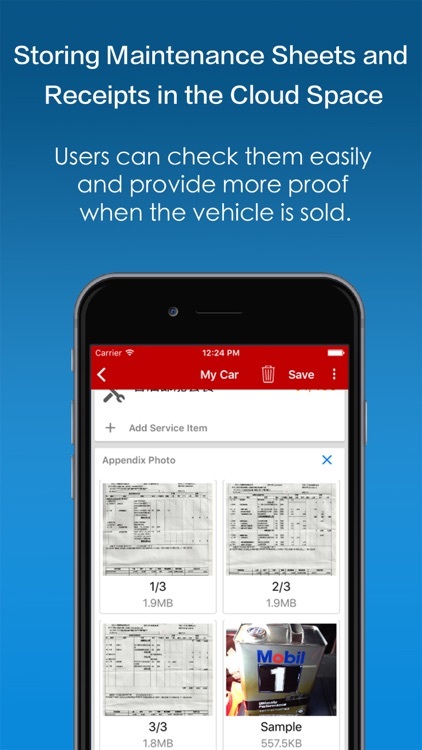 Car repair doesn’t have to be a hassle. 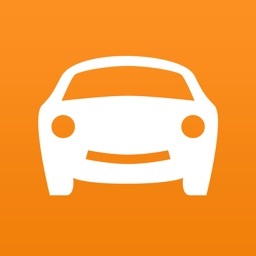 Openbay helps you book car repair with confidence. 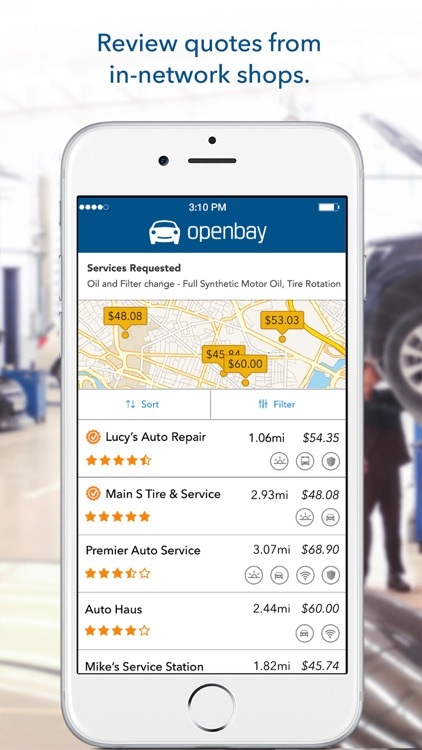 *Easily compare repair quotes from shops in the Openbay Network. 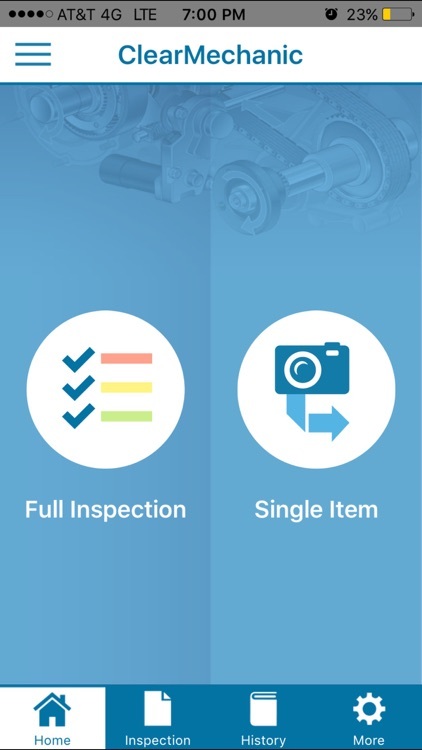 *All shops within the Openbay Network are required to uphold certain quality standards to ensure a first-class customer experience. 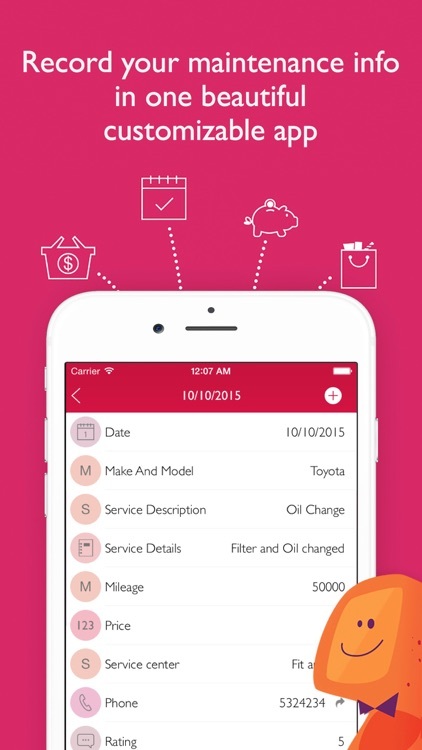 *Securely book service with the click of a button. Save Money: Manage the cost of fuel consumption and economy, car maintenance expenses and service costs of your car, motorcycle, bus or truck. 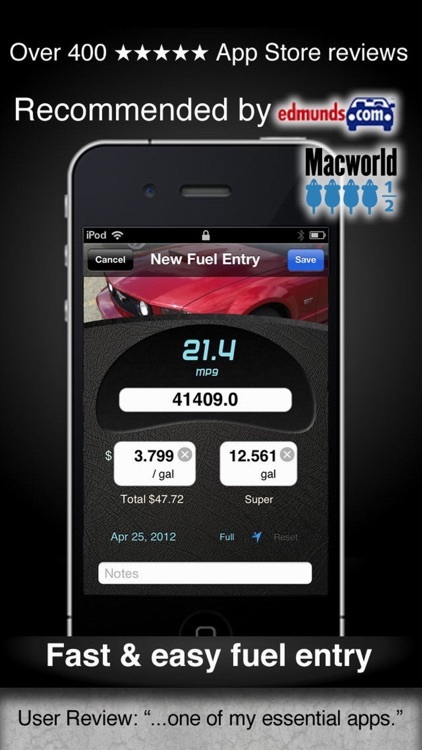 Fuel mileage calculator: Track average Km / liter, monthly expenses, averages per day, fuels, etc.. 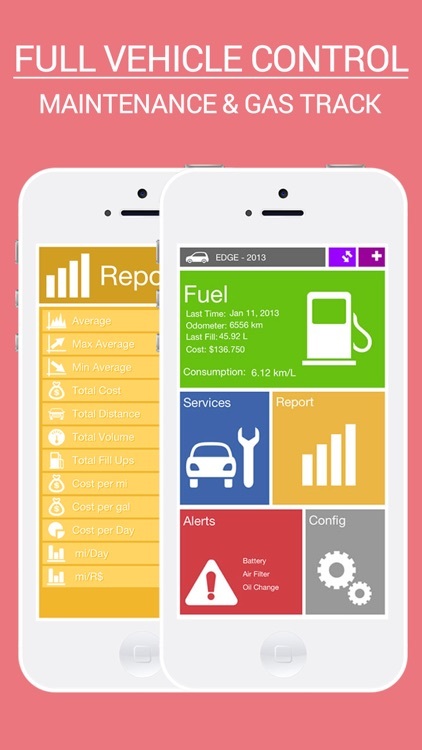 Using this application you’ll have a hands on financial control of your vehicle. 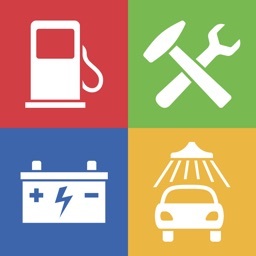 Overcharged on car repairs? 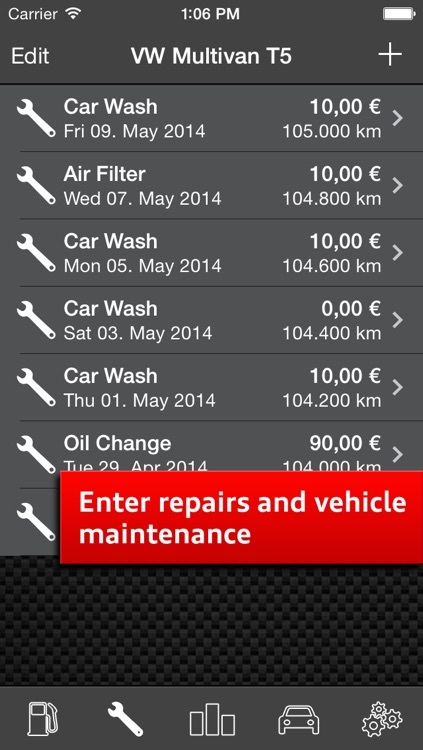 Engie takes the stress and trauma out of fixing your car, all while saving you money on repairs and maintenance. 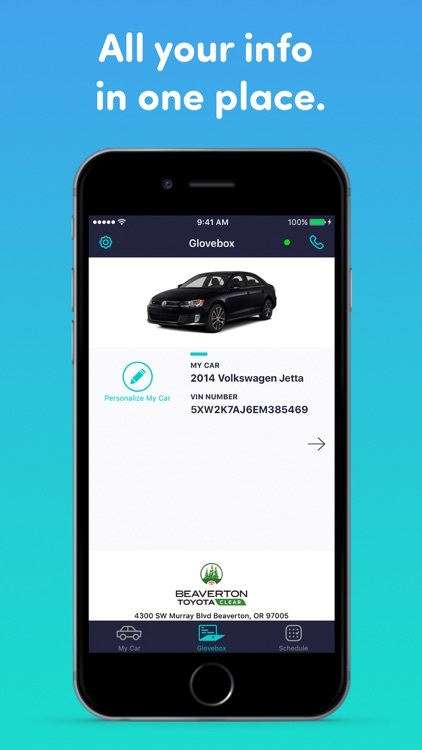 Engie connects to your car via a Bluetooth device which you can buy directly through the app. 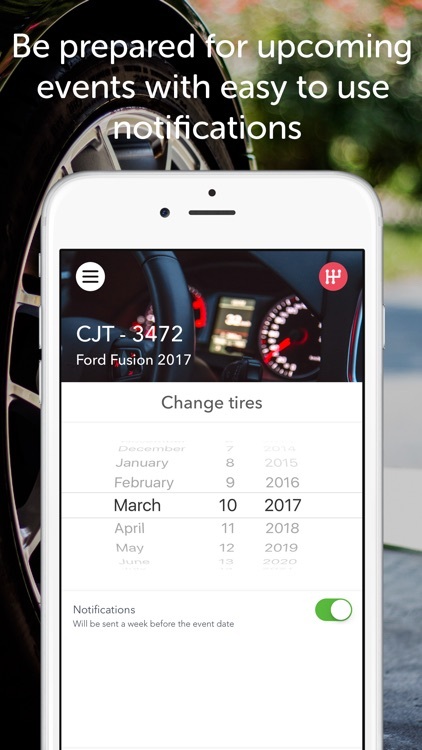 The device is small and connects effortlessly under your car’s dashboard. 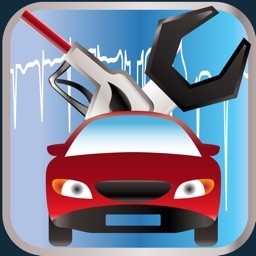 Are you neglecting your car's maintenance needs because of your busy lifestyle? 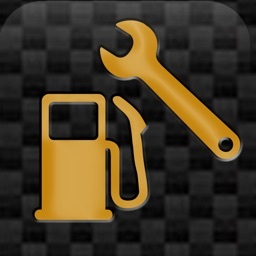 Track your car's service and gas fill-ups with Auto Care. 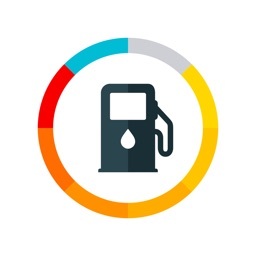 Start getting the maximum performance, reliability and fuel efficiency of your car. 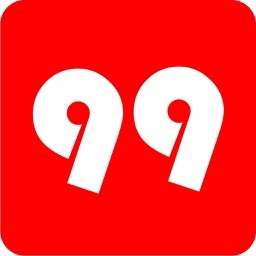 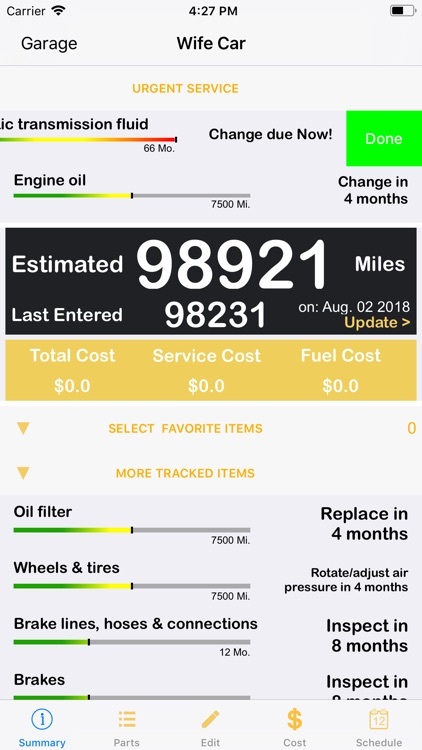 Fuel economy, maintenance, fueling, and expenses can be recorded through the webpage (http://iknow99.com) and the cell phone; as the cell phone gets connected to the internet, the data will be synchronized automatically to spare users the trouble of backup. 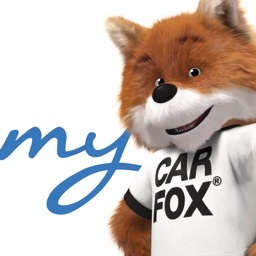 Taking care of your car is easier than ever with the free myCARFAX app. 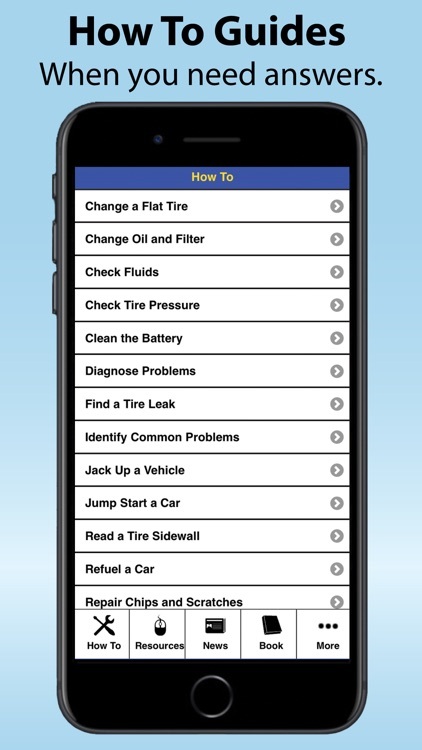 Only the Free myCARFAX mobile app taps CARFAX’s exclusive service data to automatically display your service history and alert you when it’s time for scheduled maintenance such as oil changes. 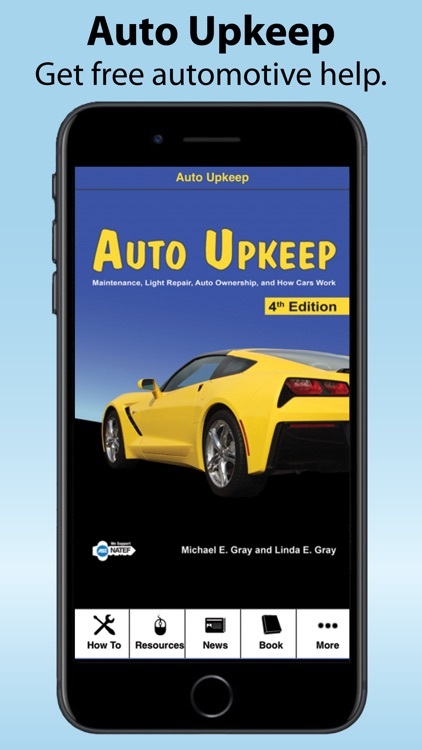 Are you looking for a simple way to stay organized when it comes to your vehicles, fleet, or other assets? 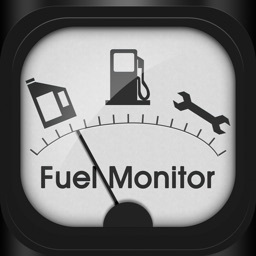 Fuel Monitor is your assistant to help keeping an eye on the cost for car: fuel consumption, cost per miles/km, fuels, services and repairs. 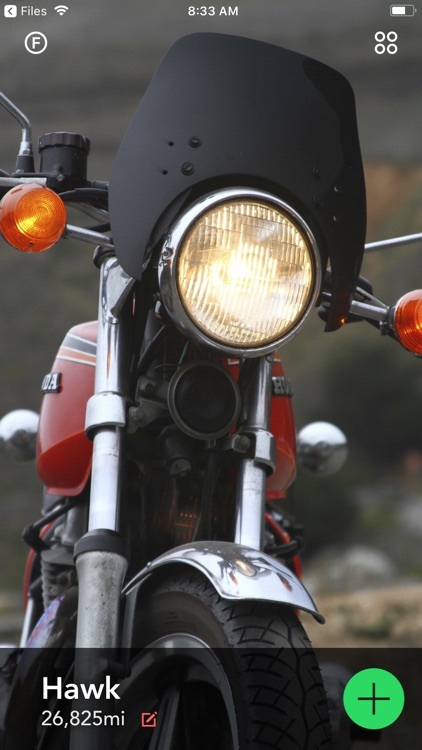 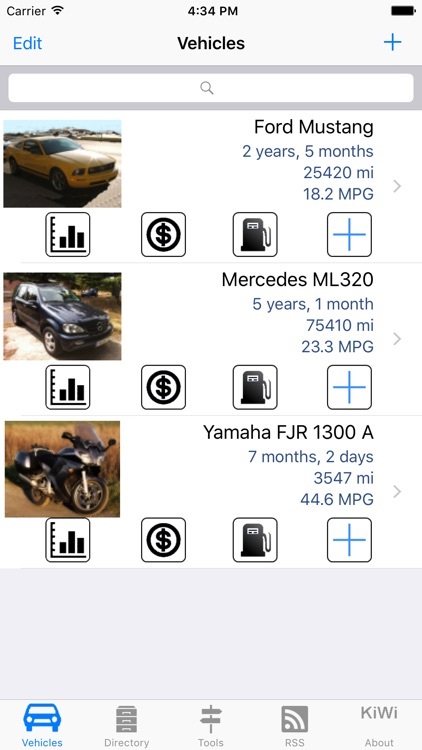 Fastlane is the easiest, fastest, and most stunning way to keep track of your motorcycle's maintenance, repairs, and fuel economy. 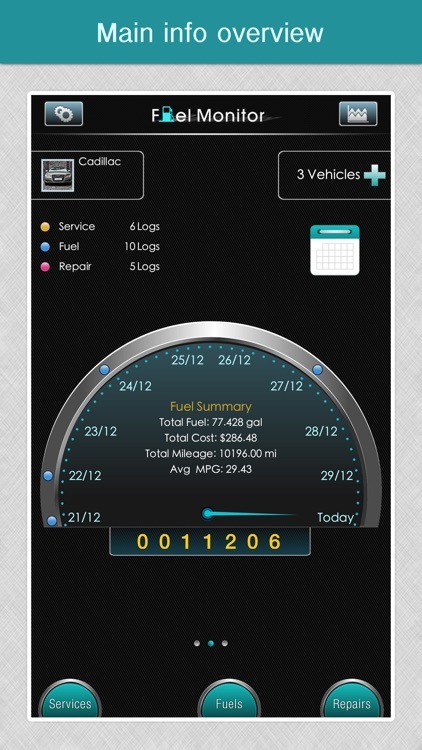 Track fuel economy for all your automobiles & get vehicle maintenance reminders with a customizable, user-friendly interface. 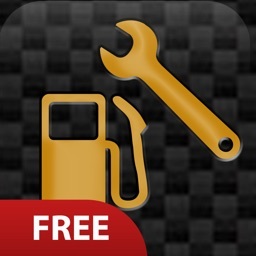 Fully iOS 7 compatible! 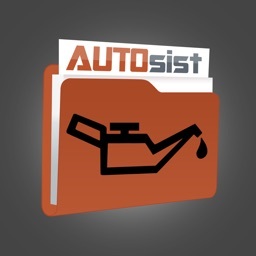 Car Care is recommended by The New York Times, Edmunds, & Macworld. 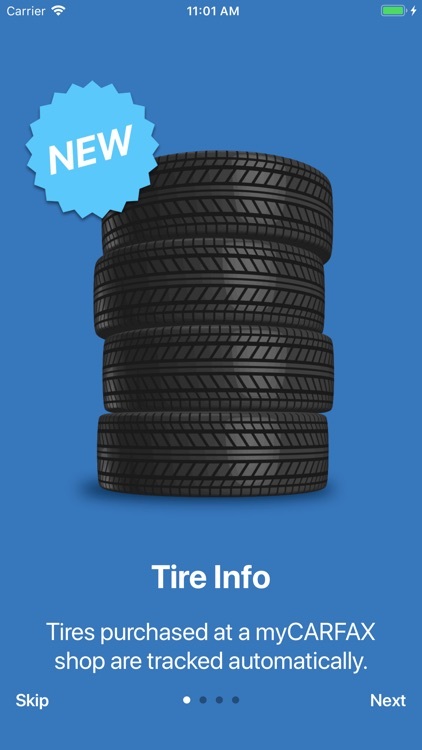 40% off the regular $4.99 price! 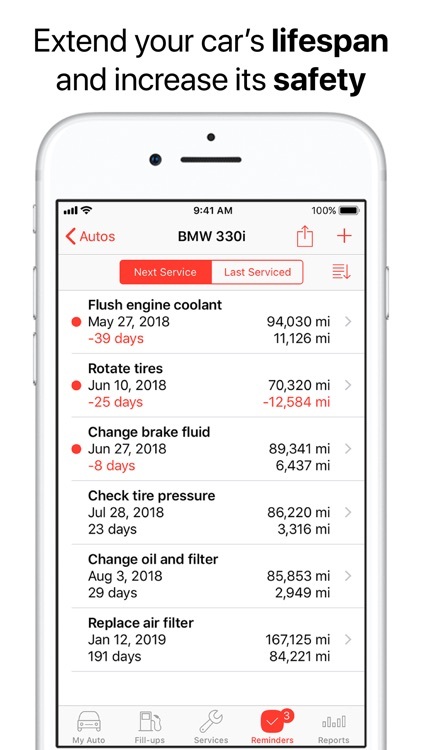 Taking care of your car has never been easier, with the Car Assistant app you have instant access to all of your car’s information, service history and upcoming events wherever and whenever you need it. 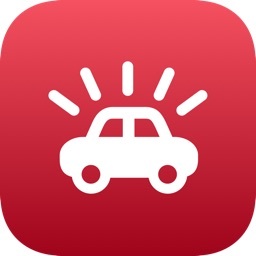 Halo lets you know where your car is and how it's doing. 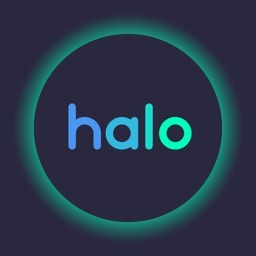 If your vehicle ever needs anything Halo is there to help. 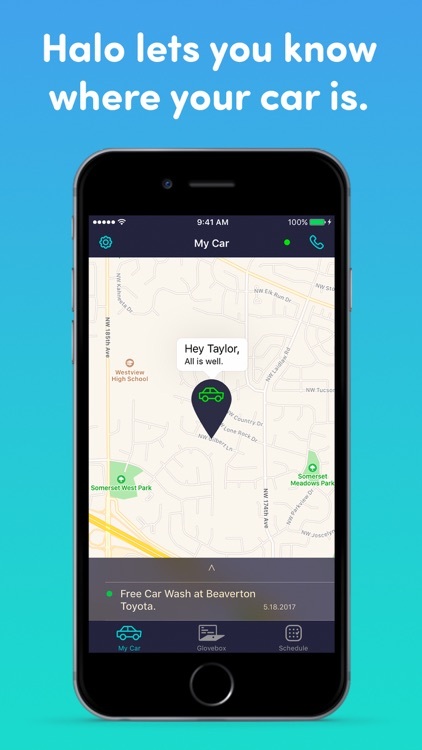 Halo is about making car ownership easier. 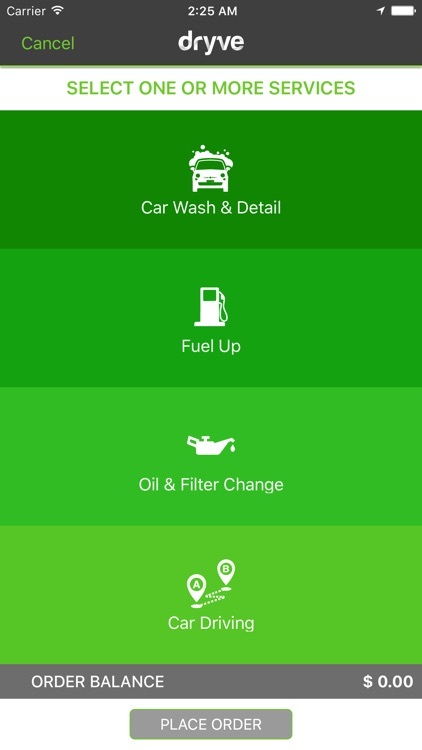 Best Car Care Services App at your fingertips! 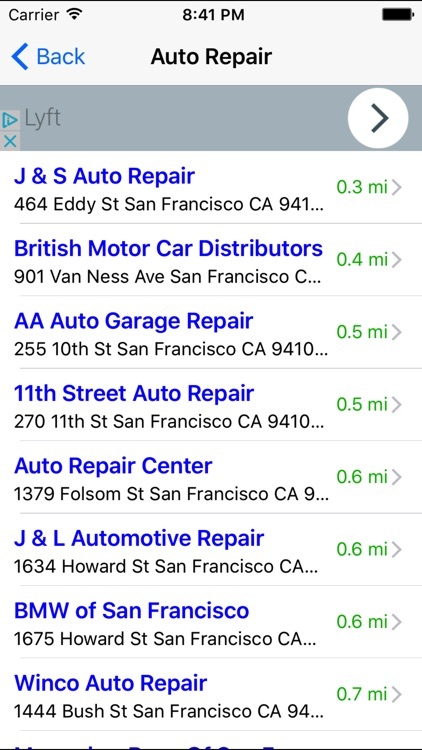 This handy app quickly identifies your location and lets you choose the nearest Auto Repair, Auto Parts, Auto Club, Auto Glass, Auto Wrecking, Brake, Oil & Tune-ups, and more! 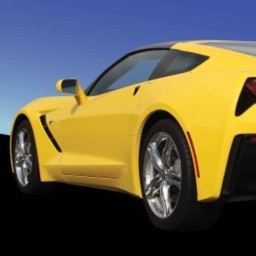 Looking for a DMV, Car Dealer, Car Rental, Car Wash, or Car Detailer? 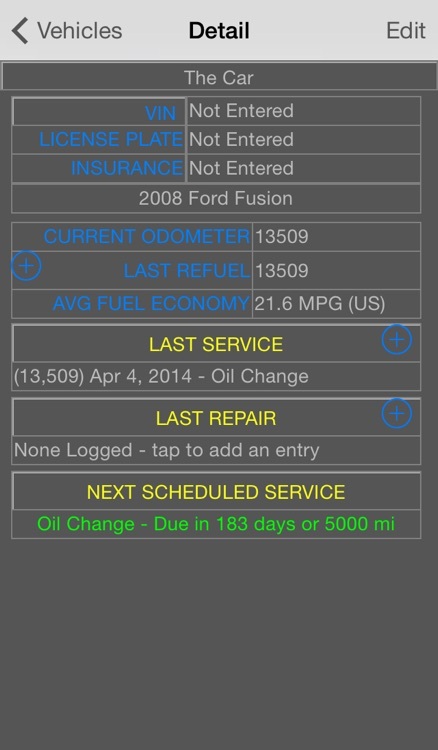 Keep your vehicle in a good shape by tracking your maintenace log in a beautiful easy to use app that can be fully customized to match your exact needs. 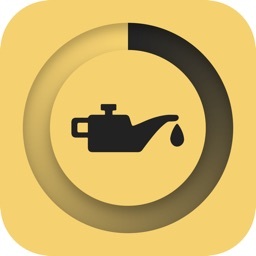 - Apple Watch support. 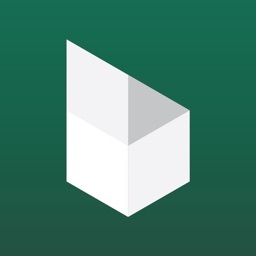 View your data and voice search on your watch. 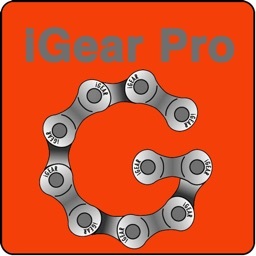 iGear Pro provides you the necessary information to decide which combination works best on your bicycle, as well as calculate the speed for a given gear. 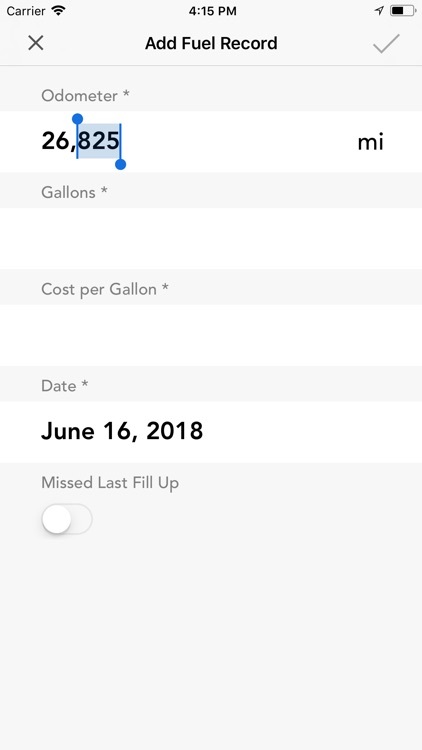 iPad users can compare two combinations on the screen. 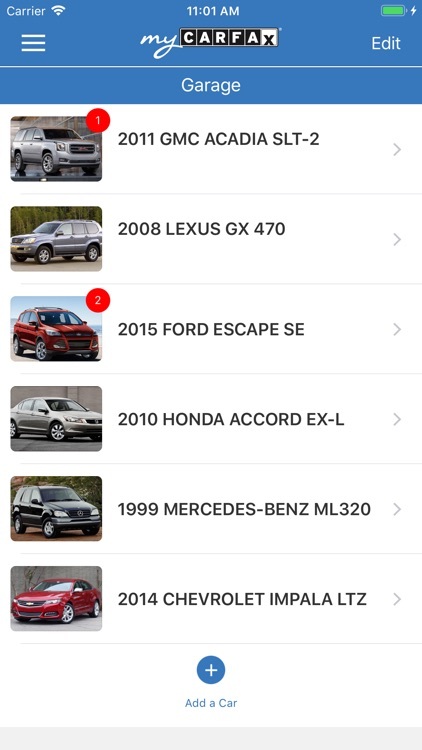 All the devices let the user to manage the cogsets stored in the data base. 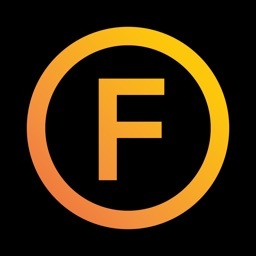 Languages: English, Italian, Spanish, German, French. 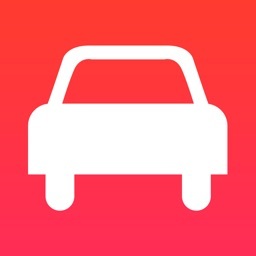 Auto Car Remind is now available for Apple Watch! It allows you to place fuel supplies directly from your Apple Watch! 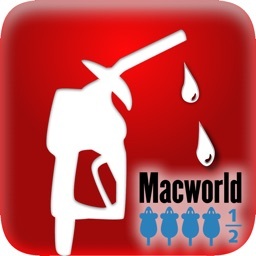 Open the app on Apple Watch, enter your supply through the digital crown: add cost, cost per liter, fuel type (if your car is a bi-fuel) and send it to the app on the iPhone! 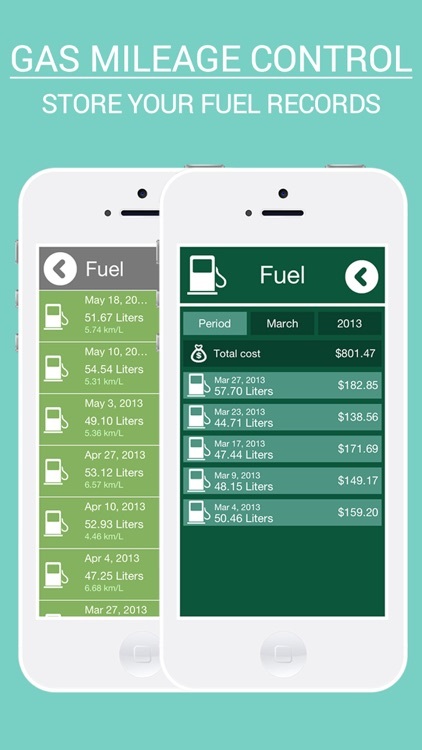 Fast and easy, you will not have to use your iPhone anymore to enter refueling! 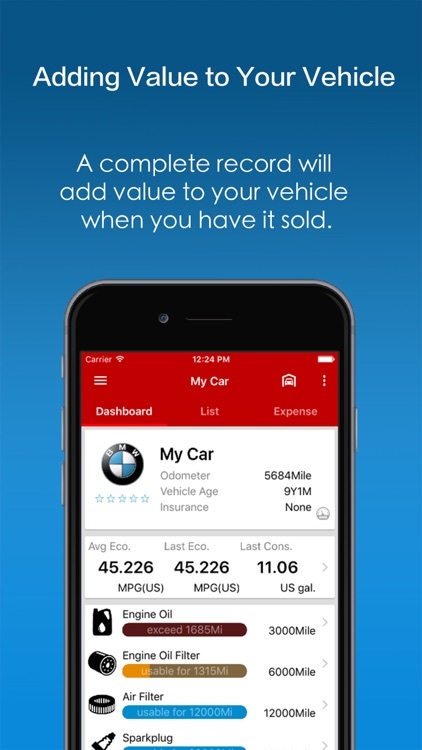 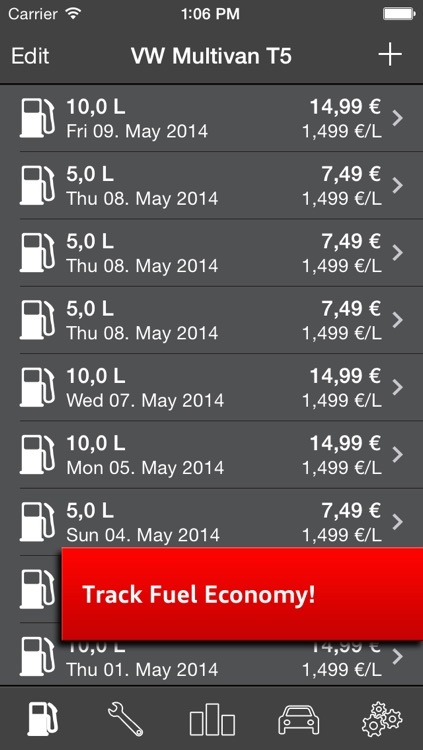 Auto Car Remind now allows you to record your journeys through In-App purchase. 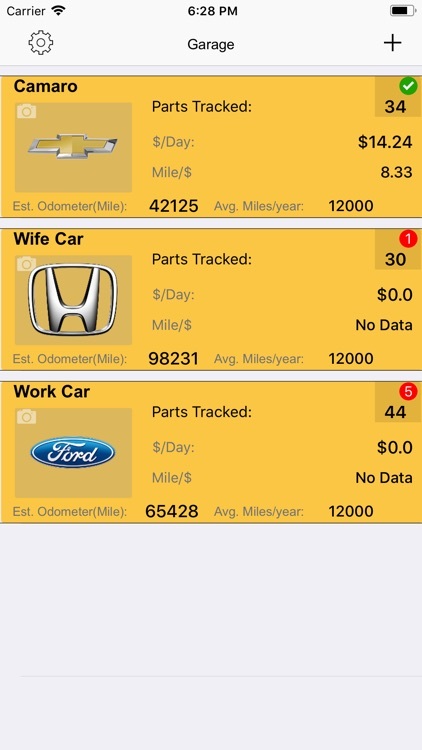 It calculates you average speed, distance traveled, time elapsed for each track and it shows theme on the map ! 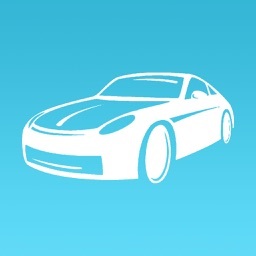 The recording of the track works even when the app is in the background. 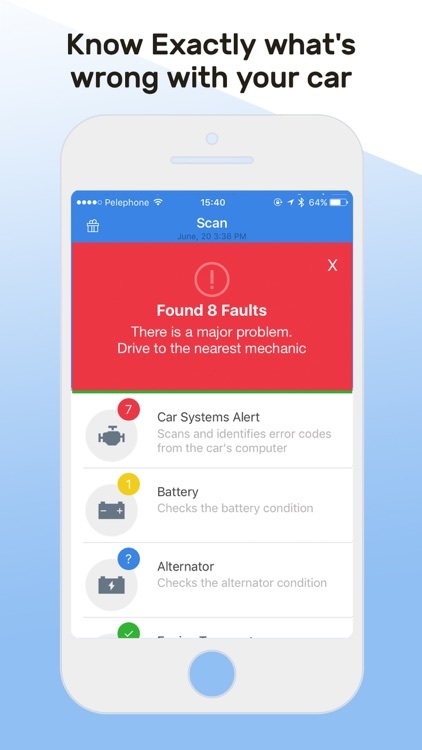 Be sure to connect the device to the power, since the continued use of GPS running in the background can dramatically decrease battery life. 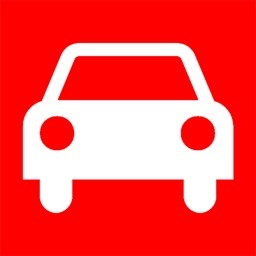 Plate number, model, date of registration, fuel type. 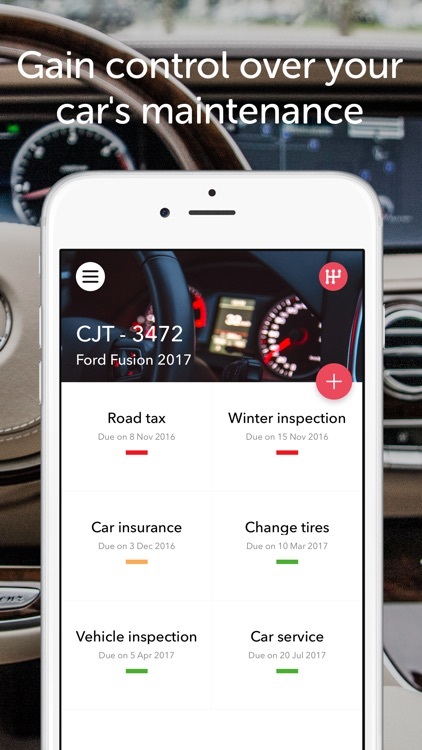 It allows you to record expiry dates of road tax, car insurance, motorvehicle revision, gas tank test, Co2 emission test and driving license. 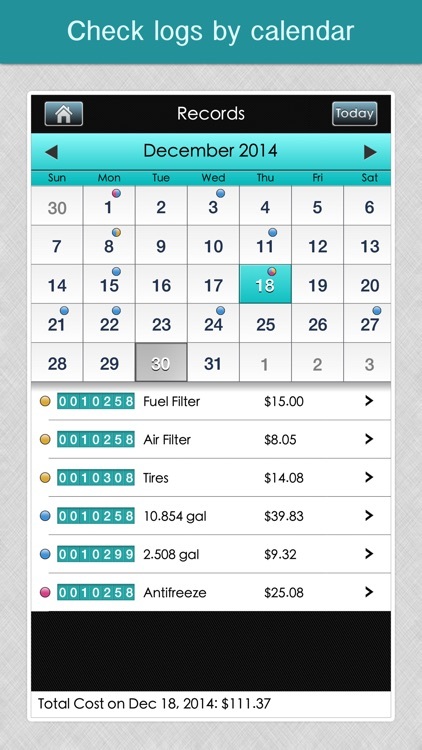 And gives you the possibility to set an alert on the iPhone calendar. 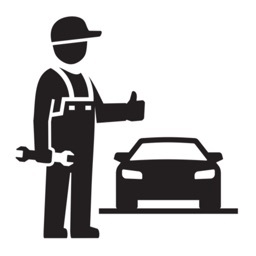 * Record car maintenance. 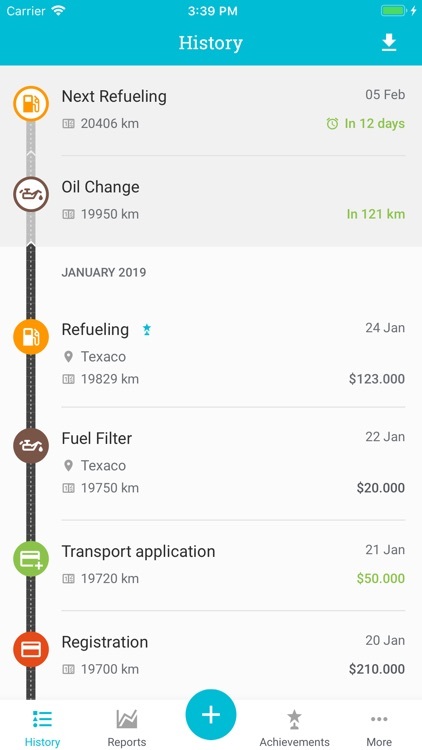 You can insert date, kilometrage, description, place of the service and you can specify the details of the service by checking them from a list. 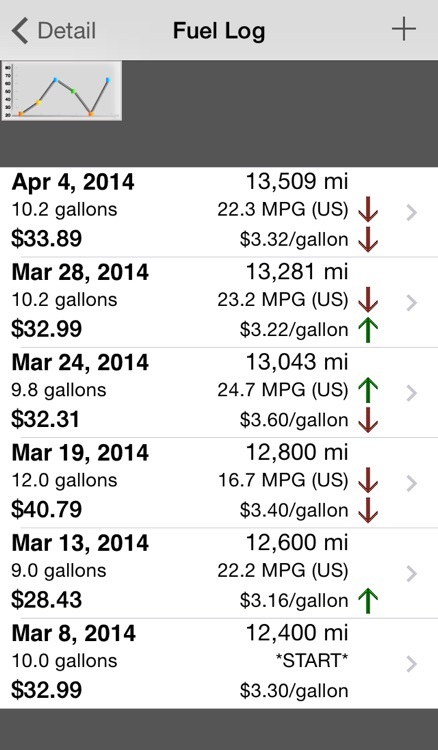 * Record refueling with total cost for month and year. 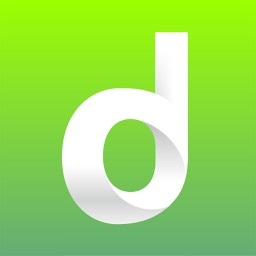 Finally it allows you to send an email with all these informations. 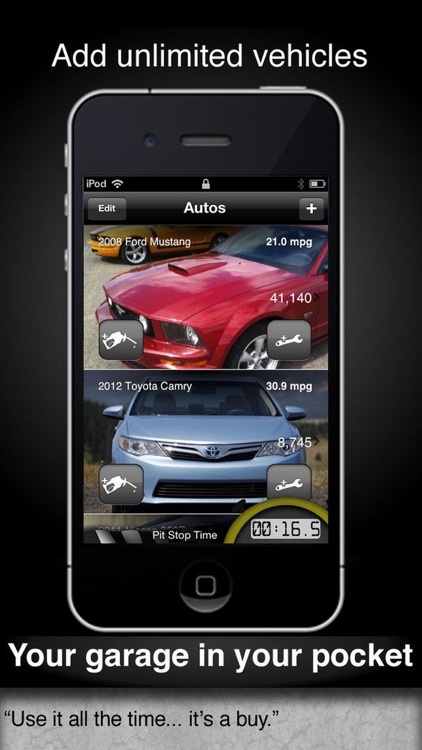 Customizable with photo of your car. 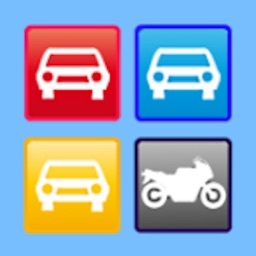 Enjoy the new high definition icons for retina display ! 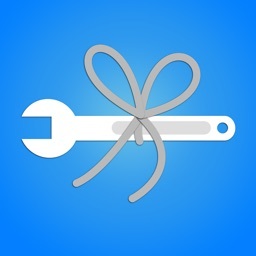 Added support with Dropbox for backup and restoring app data with your Dropbox account! 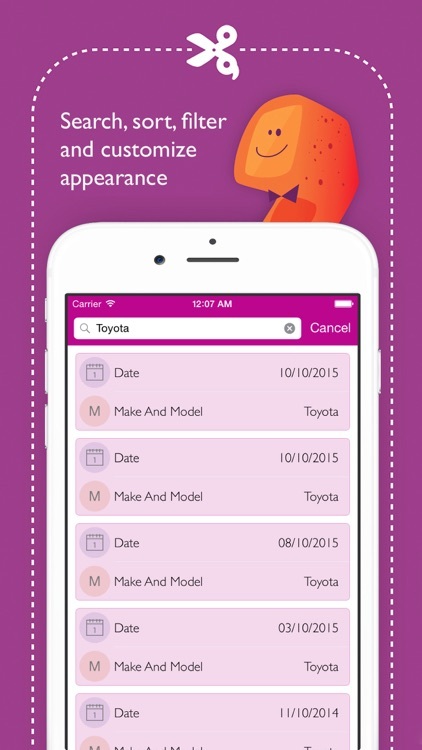 With this feature you can sync app data between your devices. 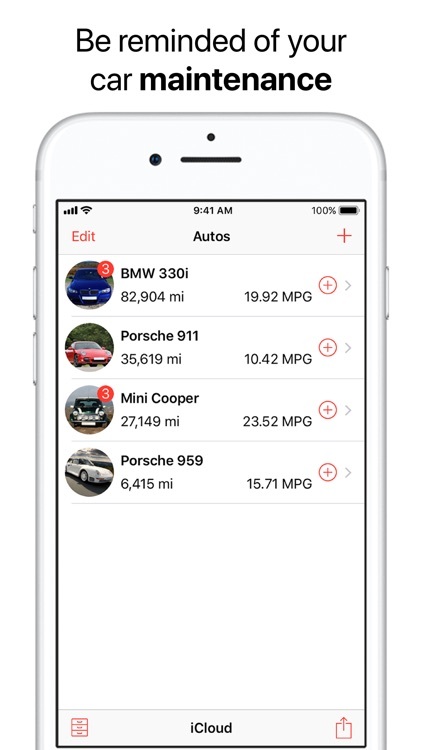 For example, you can insert data from your iPhone, backup data to your Dropbox account, install the app on your iPad and restore data from your Dropbox account in the iPad, so you don't need to reinsert data on every device you own. 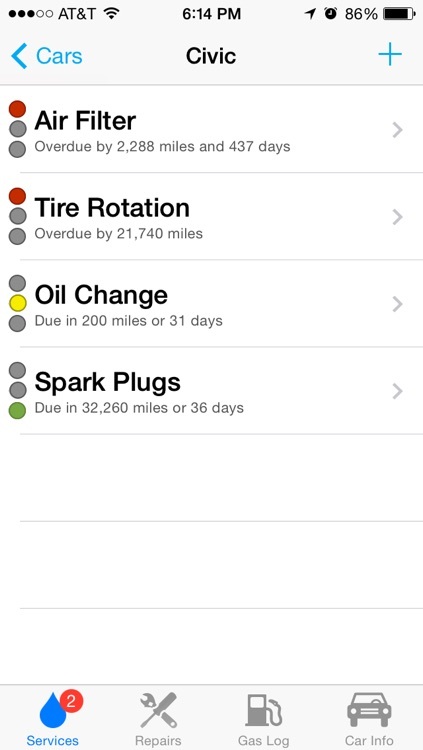 With this app you can track all your car maintenance items, with reminders of when they are due you'll never miss another oil change.